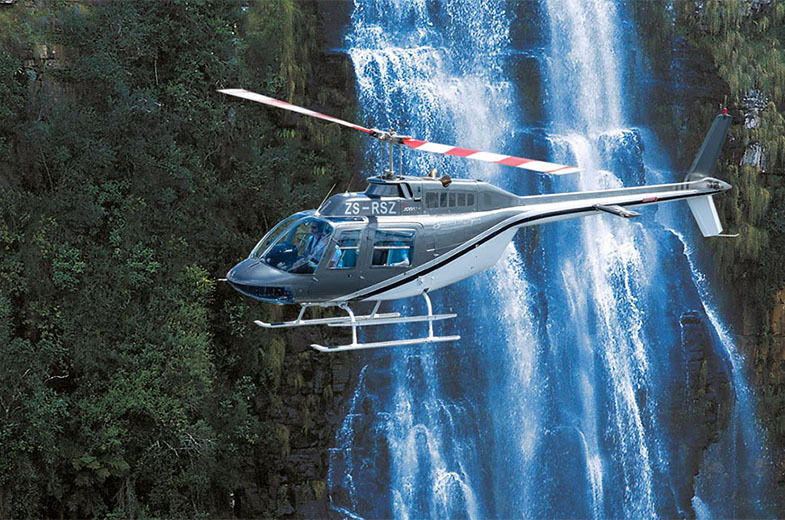 Soar above raging rivers, sheer cliffs and magnificent waterfalls cascading into deep gorges. 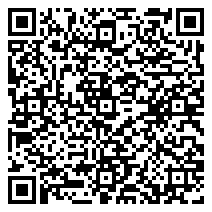 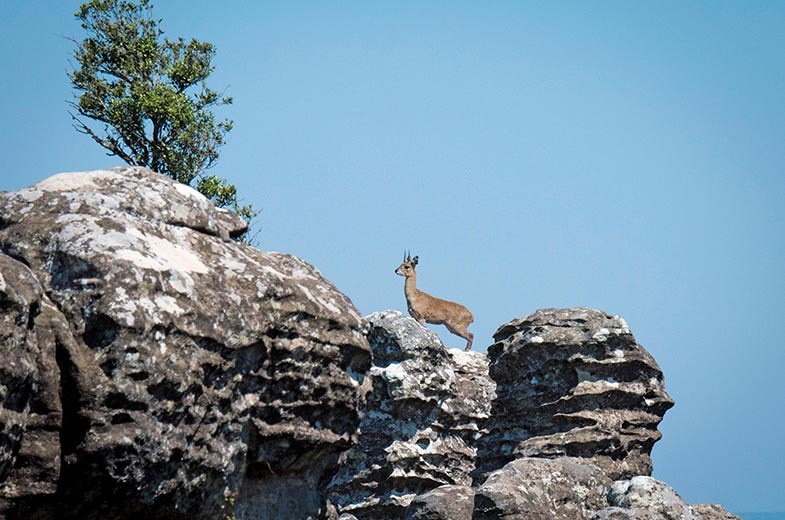 Explore the Blyde River Canyon, the third deepest and greenest canyon in the world. 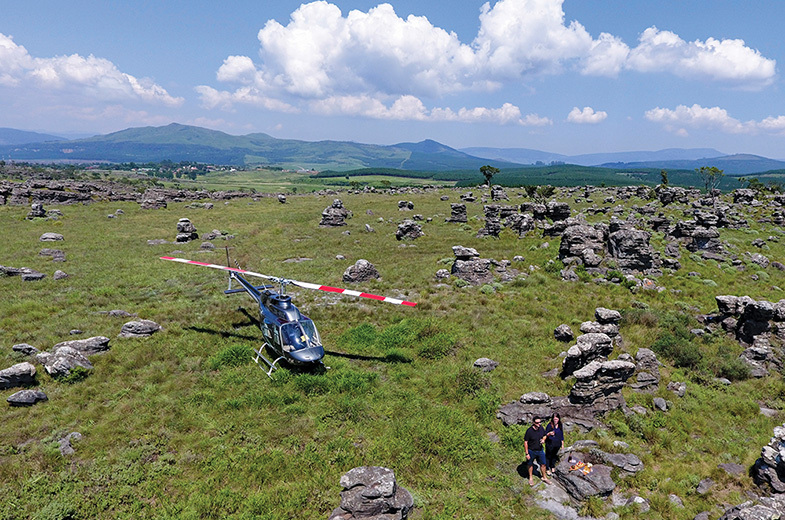 Swoop over the Pinnacle and land at the ultimate picnic site with magnificent views of the Mpumalanga Lowveld. 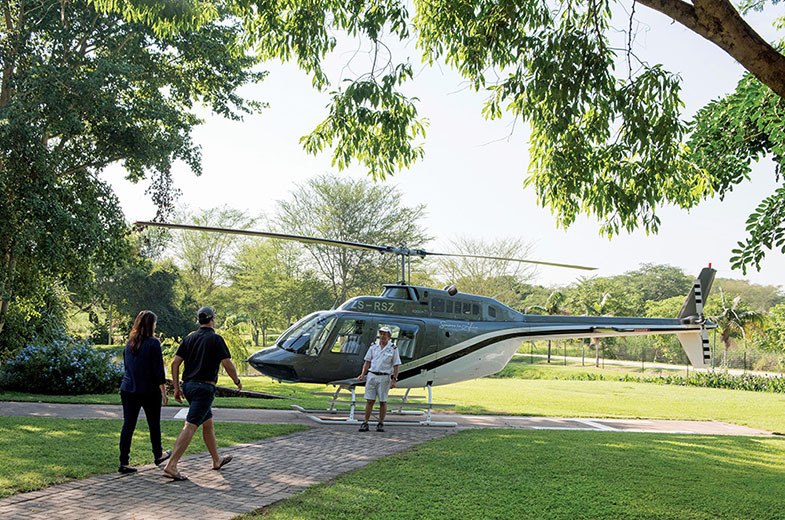 This exhilarating helicopter flight swoops over deep mysterious gorges, shadowing meandering rivers and exploring lush valleys bursting with vegetation and colour. 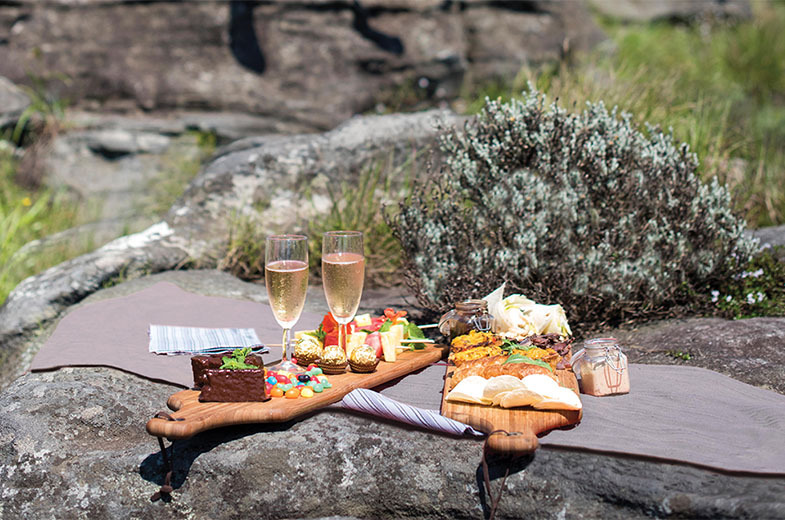 The dramatic views of cascading waterfalls and sheer cliffs present a treasure of magnificent photographic possibilities. 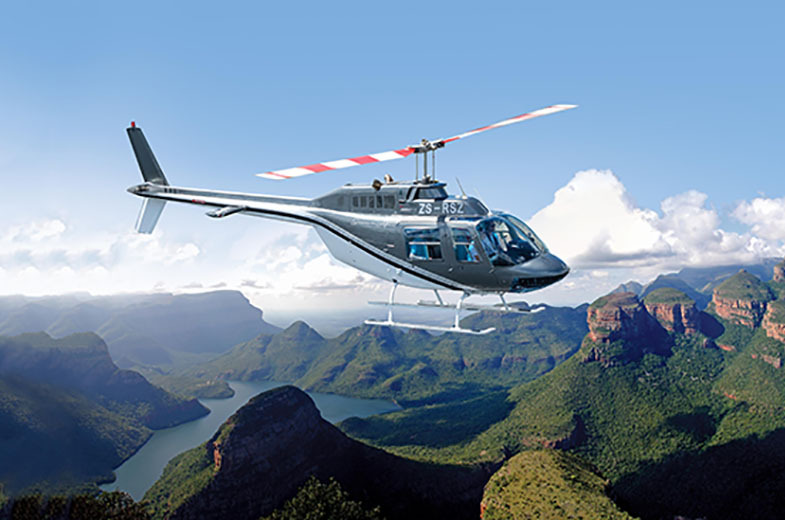 Experience a stunning eagle’s eye view of the breathtaking Lisbon Falls plummeting down a 92-metre precipice in four torrents before flying over the legendary Cascade, Berlin, Mac-Mac and Forest Falls. 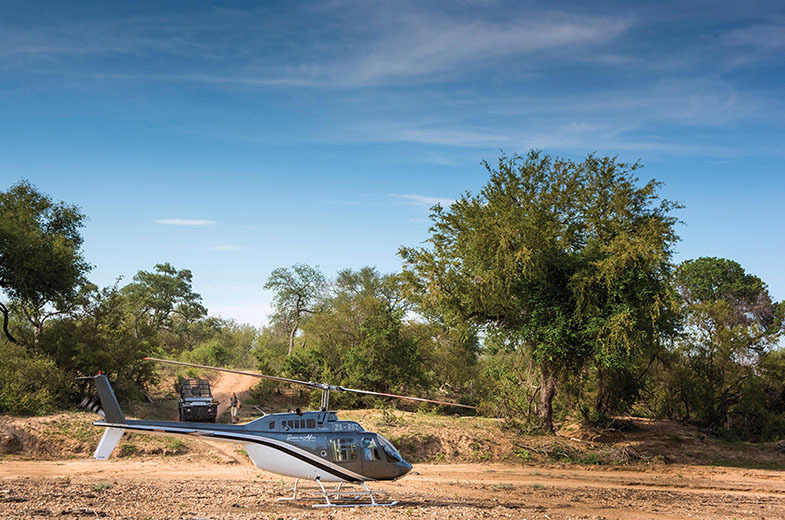 The flight will continue along the escarpment revealing spectacular views of the Panorama Gorge and soaring over the fascinating rock formations of the 1 000-metre-deep, 30-kilometre-long Blyde River Canyon. 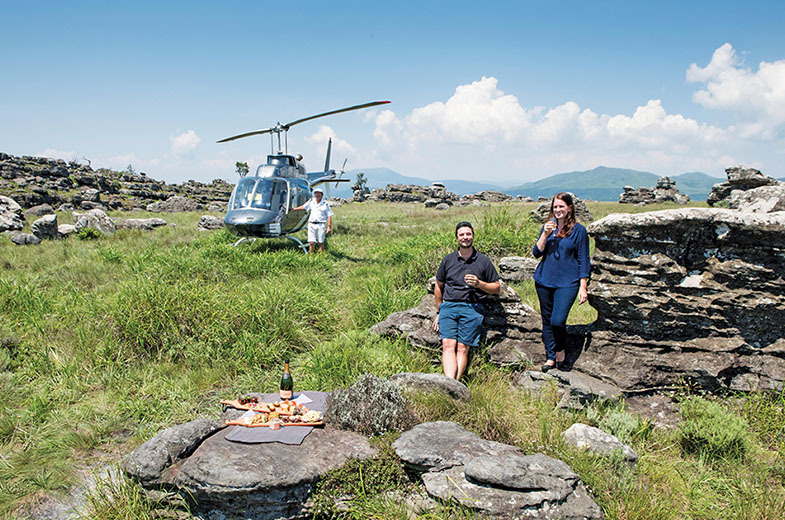 The impressive Pinnacle and curious Three Rondawels provide the perfect finale before landing at the ultimate picnic site on the mountain. 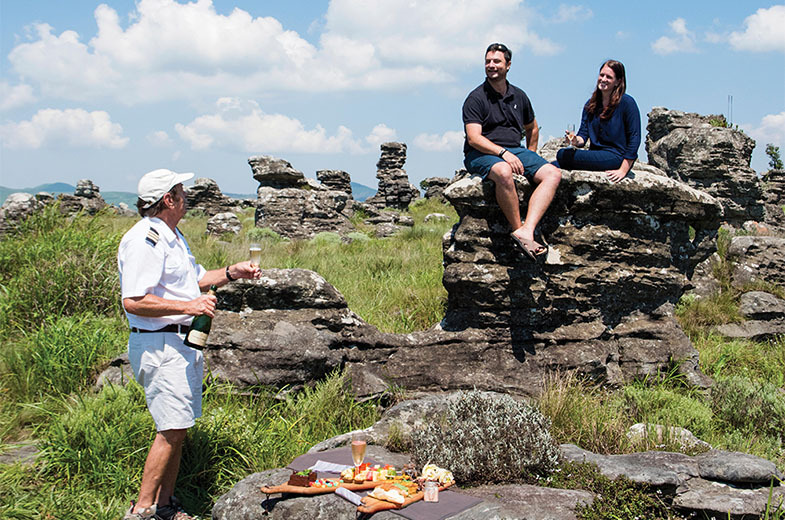 Indulge in a delicious picnic accompanied by fine South African sparkling wine whilst soaking up the endless vistas of the glorious Mpumalanga Lowveld. 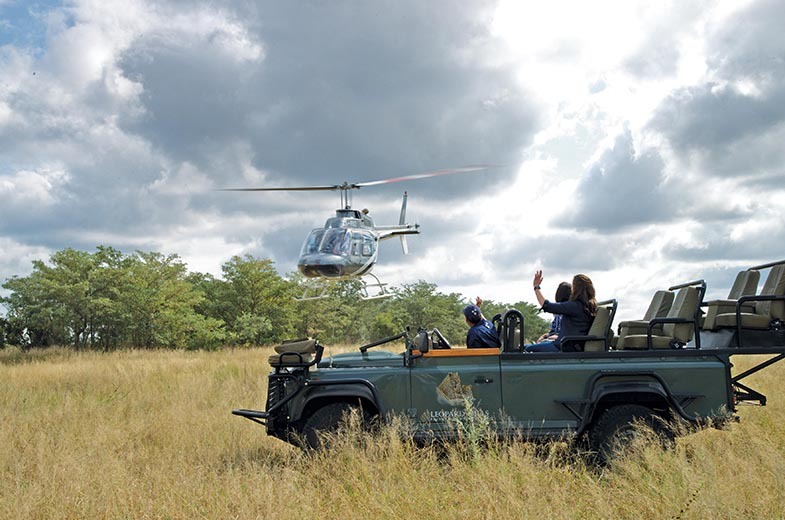 We can collect passengers from any of the hotels and game lodges in Timbavati, Manyeleti and Sabi Sand area (provided there is a suitable heli-pad) There are two scheduled flights per day, although departure times can be flexible so as not to interfere with game drives.